Looking to “try before you buy” TAKE FIVE! 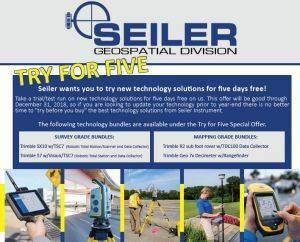 Seiler wants you to try new technology solutions for five days free rental! See details here and contact your local sales professionals for details!